Corsair hasn't been shy about introducing new Hydro Series coolers in 2018. After a flurry of launches earlier in the year, the US manufacturer is back with two new additions in the form of the Hydro Series H100i RGB Platinum and H115i RGB Platinum. Pricing is set at £125 and £140, respectively, for the 240mm and 280mm units, but in what's fast becoming a crowded product range, what new features do the Platinum units bring to the table? To find out, we have the H115i model in for review today. The most obvious change is immediately apparent. Whereas the older H115i RGB's multi-colour illumination was limited to the pump, the newer Platinum variant includes 140mm RGB fans as standard. 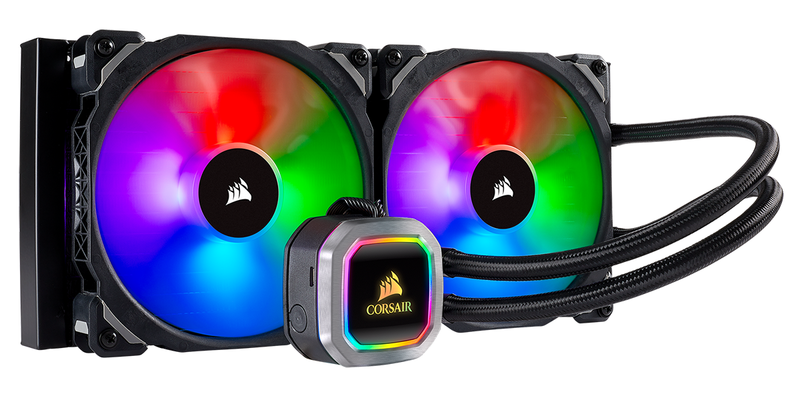 The duo of Corsair ML Pro RGB blowers connects via four-pin headers and offer speeds up to 2,000rpm, and an airflow rating of up to 97 cubic feet per minute. Most all-in-one coolers come equipped with capable PWM fans, but as far as we can tell, this magnetic levitation pair is the best that Corsair has ever bundled with a Hydro Series cooler, and they look the part, too. In a somewhat bizarre twist, aesthetics appear to have become the primary reason for new liquid coolers in recent years. Some are admittedly dazzling, yet while the H115i RGB Platinum looks nice, the plasticky pump head doesn't manage to convey the luxury feel on offer from certain rivals. We reckon circular units from Cooler Master, Deepcool and NZXT are prettier to look at it, with the Kraken in particular being our preferred pick for an eye-catching rig. 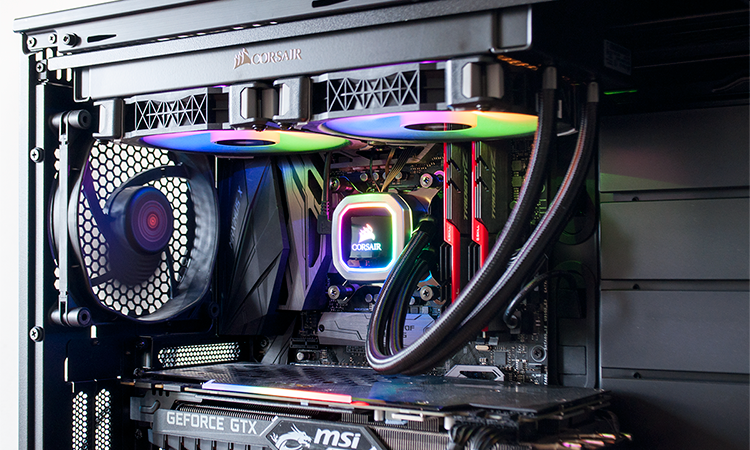 There's more to a cooler than a pretty pump, mind, and Corsair has made incremental improvements to the H115i RGB Platinum design. In addition to the superior fans, we're told to expect a thermally-optimised cold plate, a lower-noise pump, and compared to the firm's popular 240mm units, the surface area of the 322mm x 137mm x 27mm radiator bodes well for performance. It is a tidy overall package on paper, however Corsair's positioning as the premium brand does result in a slightly higher price. 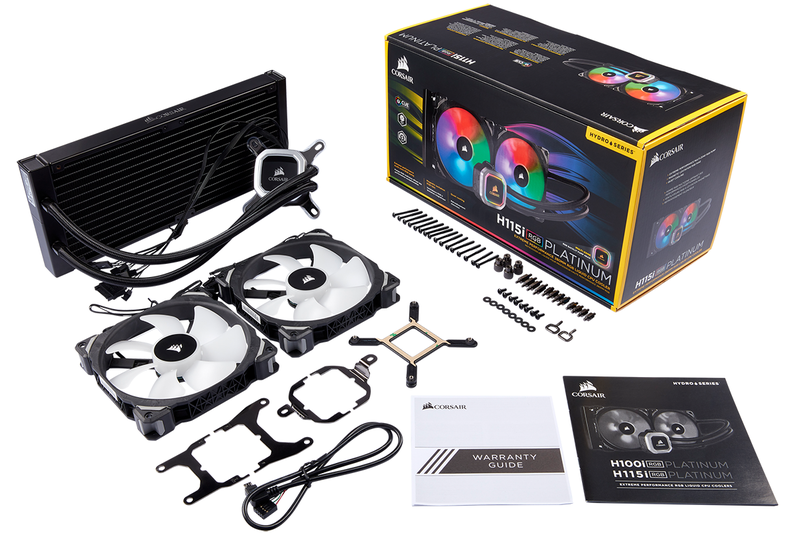 £140 may be in line with our expectations of a 280mm Hydro Series cooler outfitted with RGB fans, yet that doesn't change the fact that 280mm solutions from a wide range of competitors are readily available for £20 less. The advantage here, we suppose, is that the Hydro Series is backed by a five-year warranty as standard. 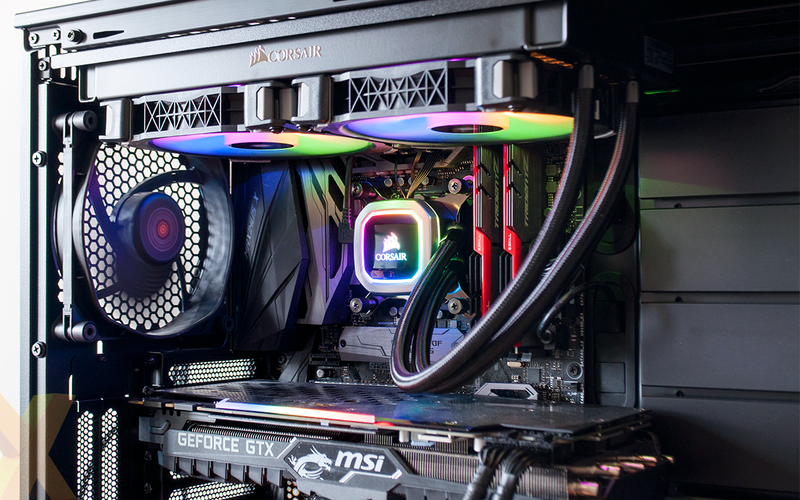 We're often impressed by how easily all-in-one coolers can be installed, but the proliferation of RGB lighting is putting style ahead of ease of use. 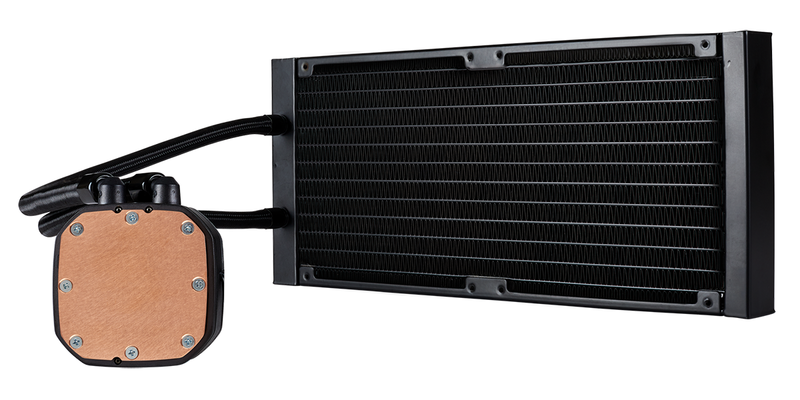 The best coolers, in our opinion, require a single motherboard header and little else. In contrast, and owing largely to the eye-catching illumination, the Hydro Series H115i RGB has a total of seven cables originating from the pump. There's Sata for power, two four-pin fan headers, a pair of RGB connectors for fan illumination, and a USB cable that juts out of the side of the pump and looks ungainly. Do you notice the cables after installation is complete? Not really, as most of them are long enough to easily hide, but there has to be a way of delivering lighting with less clutter. Still, the end result looks rather nice, and if you don't mind adding more wires to your build, the mounting process is as straightforward as ever. Attach the backplate to the rear of the motherboard, fasten the pump on top and you're good to go. The bundle includes tool-free mounting brackets for all the latest Intel and AMD sockets - including Threadripper - however it's a shame that Corsair still doesn't include any spare thermal paste. All you get is what's pre-applied to the contact plate. 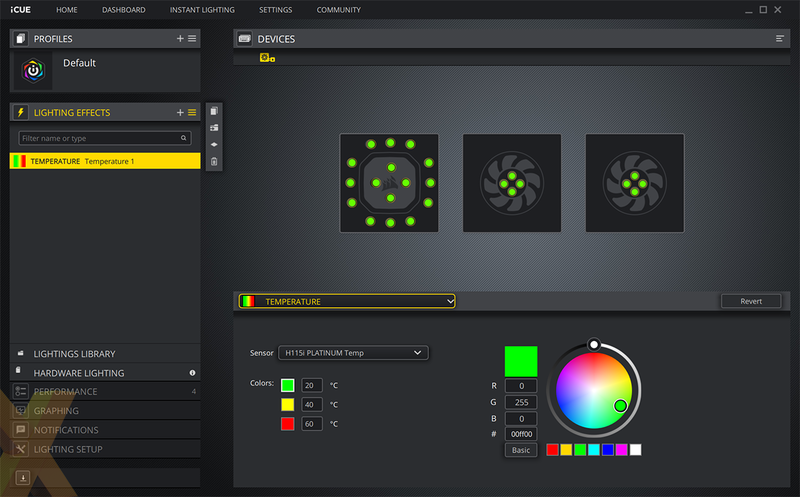 As before, customisation is handled through the iCUE software utility, which includes a Zero RPM fan mode that allows the fans to come to a stop when temperature falls below a certain level; do note that this is optional, as 'Quiet' is the default out-the-box operating mode. Owners of existing Corsair all-in-one coolers won't be feeling a genuine urge to rush out and upgrade, unless of course you're partial to fine-tuned lighting. One of the H115i RGB Platinum's biggest selling points is the fact that each RGB LED is individually addressable. 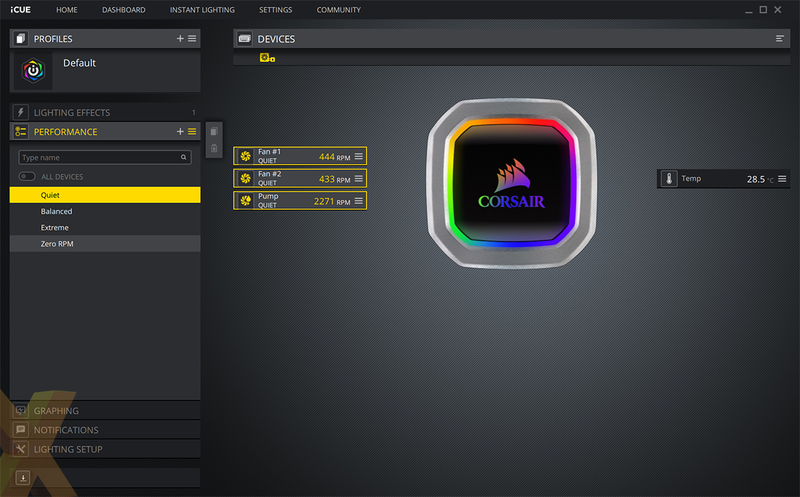 There are 16 LEDs on the pump head, plus a further four on each fan, and all can be customised using a dizzying array of effects, with the option of quick synchronisation with other Corsair gear.